The fifth century was the century when the Roman West unravelled. By century’s end, the barbarian kingdoms were there. As a result, the politics of the sixth century is much more varied and takes a number of routes; the Visigoths, the Franks, the Burgundians, the Ostrogoths, the Vandals — these kingdoms are all part of the story at the outset, joined by Lombards along the way. We also have various rumblings from Scotti and Picti throughout the century, and their Anglo-Saxon neighbours come into full view by century’s end. There’s a lot of politics in this century, for many the last of Antiquity, and in many ways the first of the Middle Ages. Plus, the eastern portion of the Roman Empire is still around. Very quickly, what you most need to know is that the Emperor Anastasius, who supported the Mono/Miaphysite cause in religion, died in 518. His successor was Justin I, who had a very able and energetic nephew, Justinian. 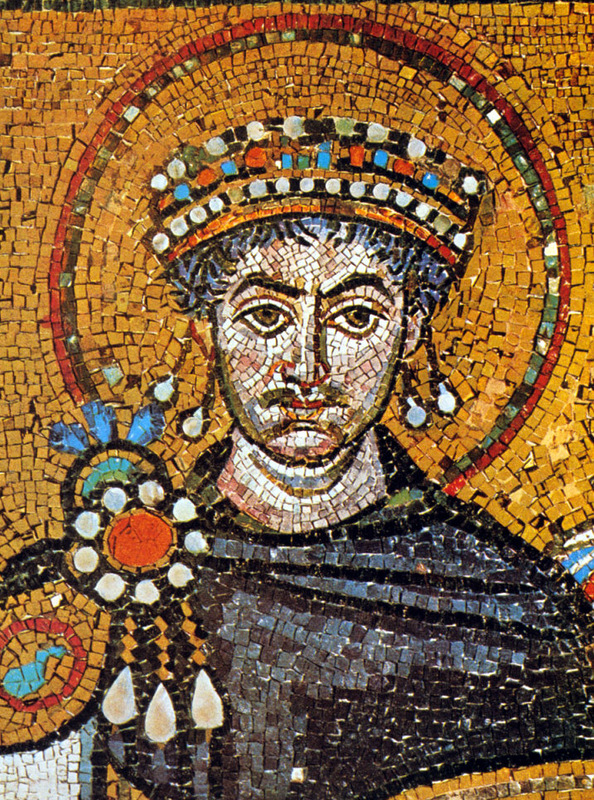 In 527 Justinian acceded to the throne when Justin died and ruled until 565. Like all emperors, he had to maintain domestic issues, and was involved in one of the biggest riots of ancient history, the Nika Riot of 532 that destroyed a lot of the city of Constantinople and left thousands of civilians slaughtered by Justinian’s troops. But he held onto power and continued to levy taxes and do the whole ‘Roman Emperor’ thing. However, the most significant political act of Justinian was invading the post-Roman West. His general Belisarius invaded North Africa in 533; it had been conquered by the Vandals about a century before. Belisarius made short work of the Vandal Kingdom, and conquest came in 534. The Vandals had maintained many Roman traditions and levels of adminstration, and sixth-century North Africa produced its own poets. North Africa had been crucial to the western Roman economy, and its recovery had been the goal of the military policy of many emperors in the central decades of the 400s. North Africa wasn’t enough, however. He decided Italy was a good thing to have, too. From 535 to 554, Justinian’s forces tried to reconquer the peninsula from the Goths. The city of Rome changed hands three times. Arguably, however, Italy was still being ruled by the successors of Theoderic on behalf of the Roman Emperor, so seeking to replace and supplant them was not actually ‘constitutionally’ valid. Thus argued the Goths, anyway. These decades of campaign are what broke Italy (see Chris Wickham, Framing the Early Middle Ages). 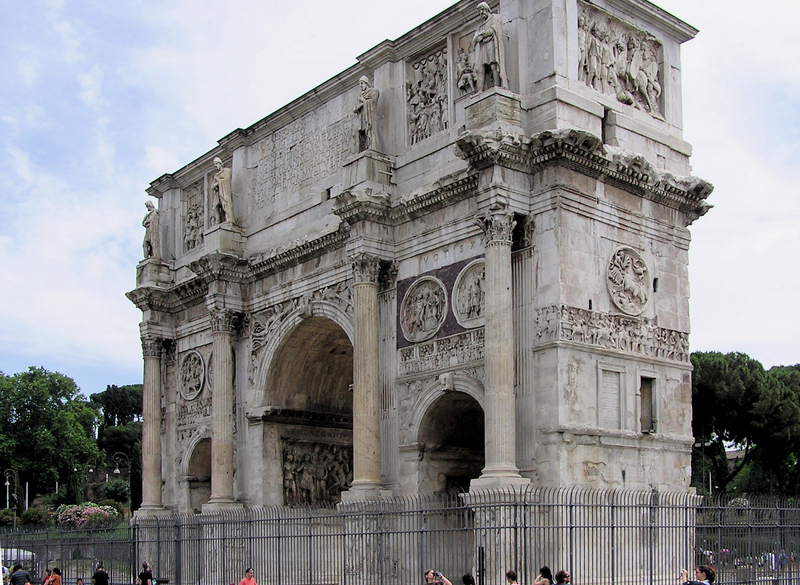 The economy and culture of Italy had maintained themselves in strong, unbroken continuity since 476, with the Goths respecting the Roman laws and traditions as they found them. Italy was, in the end (554), integrated into the East Roman polity with more direct rule (and taxation!) governed from Constantinople. 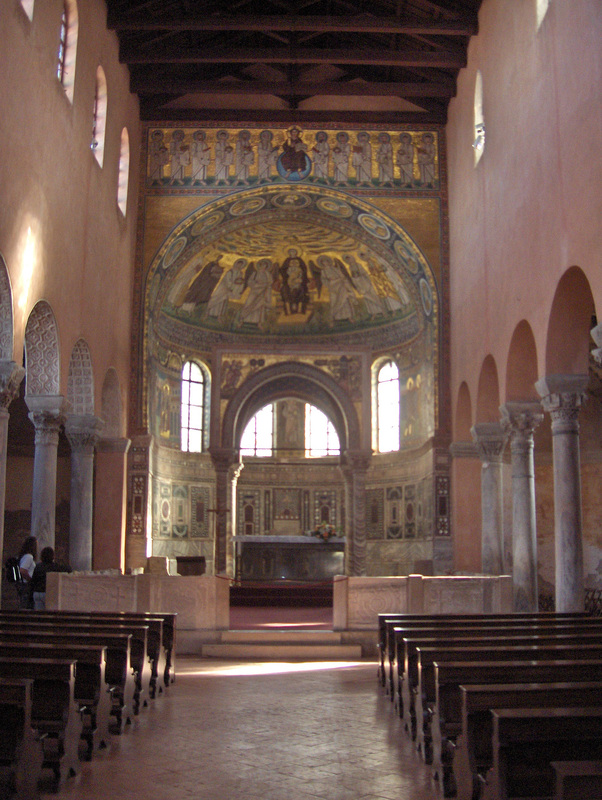 A governor was established at Ravenna. Cultural ties between the eastern and western Mediterranean renewed to some degree; this included the visual arts as well as theological controversy. Assuming that Justinian was too preoccupied with western business, in 540 Khusru I went on the offensive, breaking the ‘Eternal Peace’. For the next twenty years, the Romans and Persians were once more at war in the usual manner of neither ultimately gaining much from the other for long. Politics, of course, is not merely wars. 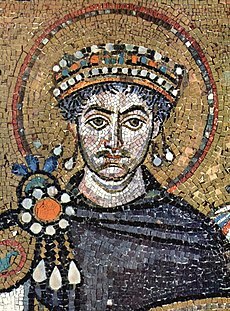 Justinian was also involved in the realm of law — hence the Institutes, Digest, and Code(x) that bear his name (mostly the work of able lawyers, such as Tribonian). Thus was the world of the sixth-century Roman Empire regulated and regularised, and the deposit of Roman Law handed down to us. 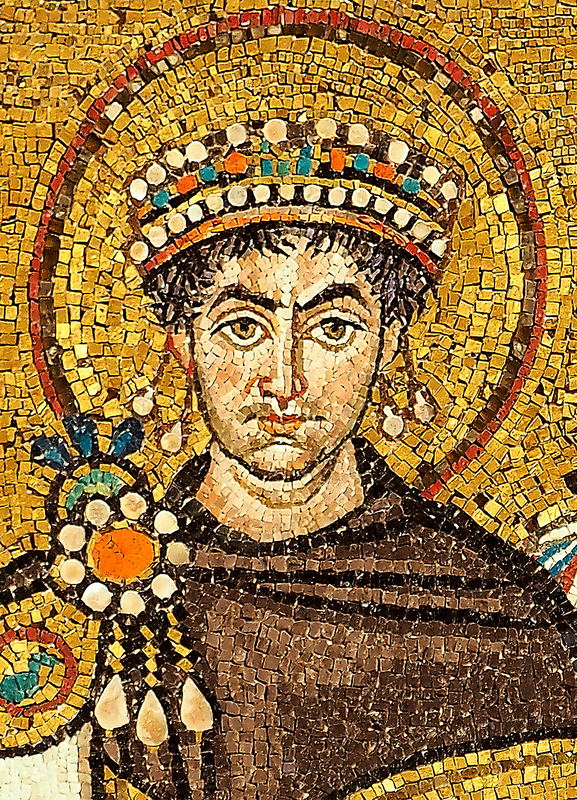 And, also of great importance for the future, Justinian got himself directly involved in ecclesiastical affairs, turning away from the policy of Anastasius and supporting the Council of Chalcedon. It is of note that Chalcedon was universallly popular in the West, and that a Chalcedonian set out to reconquer the West. Justinian’s ecclesiastical policy was a bit mixed, and seems to have alienated the extremes of both pro- and anti-Chalcedonian Christians. But it is not insignificant that he himself drafted some of the legislation without first gaining approval of episcopal councils. So. Justinian. A big deal in politics. But what about all those barbarians I mentioned at the beginning? Tune in next time find out! This entry was posted in Ancient World, Christianity, Discover Late Antiquity, History, Mediaeval and tagged belisarius, gothic wars, justinian, justinianic code, monophysites, north africa, persian wars, sixth-century history, tribonian, vandal wars on January 28, 2017 by MJH. Society doesn’t need a 21-year-old who is a sixth century historian. What, we all wonder, does society need? That is to say — someone with the skills gained by almost any humanities degree. Like sixth-century history. I should have written this blog post the moment I read Charles West’s excellent piece on the subject at History Today, but I didn’t. Because work. First, if you’ve missed the rest of this little journey, I’ve made a Discover Late Antiquity page, so you can go there to catch up on what you’ve been missing! As usual, I’m starting our discussion with religion, literature, etc. 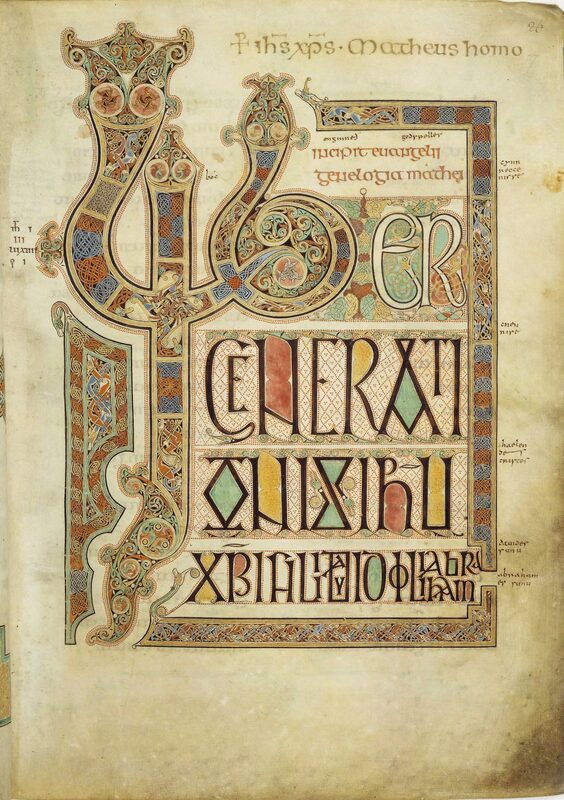 For a quick glimpse of sixth-century manuscripts, don’t forget my last post! Now that I’m done the preamble, let’s begin with religion. The sixth-century saw the realisation in the Eastern Mediterranean and Near East of the final schism between Mono/Miaphysite Christians and the Chalcedonians. At the turn of the century, the emperor in Constantinople, Anastasius I, was sponsoring a document called the Henotikon that had appeased some of the Miaphysites, but in 518 Justin and then his nephew Justinian (r. 527-565) supported the Chalcedonian cause. Although some of Justinian’s actions tried to appease the Miaphysites, others only exacerbated the problem, with the result that Jacob Baradaeus began consecrating a parallel episcopal hierarchy in the Levant, Syria, and Asia Minor — this today is the Syrian Orthodox Church. At the same time, the forerunners of the Miaphysite Coptic Orthodox Christians were active in Egypt, harbouring folks like Severus of Antioch (one of the greatest theological minds of the age) when their Miaphysite beliefs clashed with imperial policy. 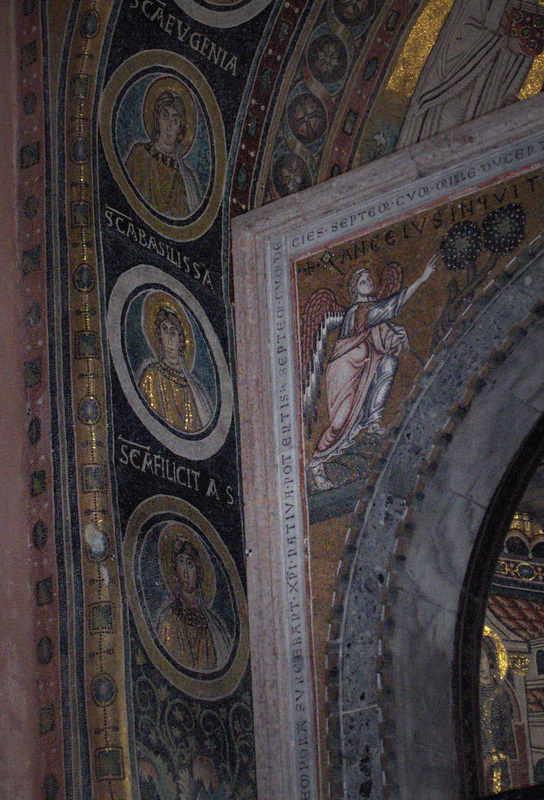 Part of Justinian’s appeasement tactics was the condemnation of the ‘Three Chapters’. 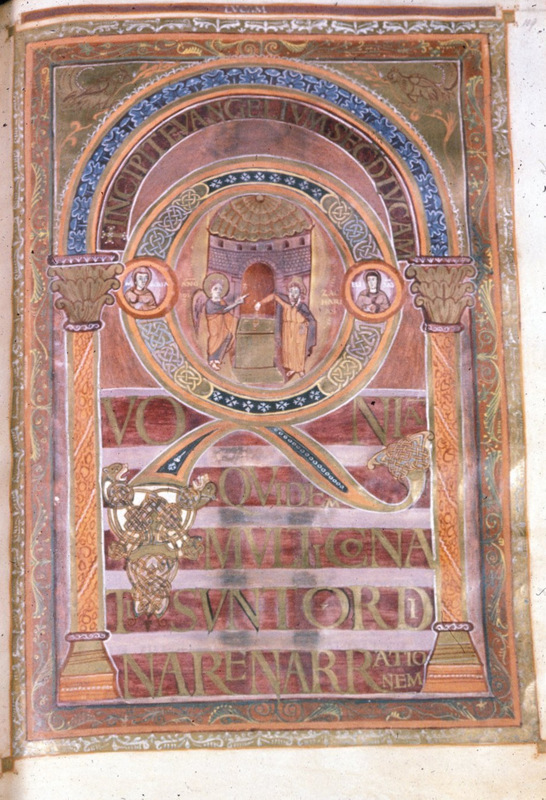 The Three Chapters were the person and writings of Theodore of Mopsuestia; the letter of Ibas of Edessa to Mari the Persian; and certain writings of Theodoret of Cyrrhus. Because Ibas and Theodoret were reckoned orthodox by the Council of Chalcedon in 451, many — especially in the western Mediterranean — felt that the condemnation of the Three Chapters was a sly repudiation of Chalcedon. For why that is not necessarily the case, read this post. The condemnation of the Three Chapters culminated in the Second Council of Constantinople of 553, now regarded as the Fifth Ecumenical Council by Eastern Orthodox, Roman Catholic, and Protestant Christians. Pope Vigilius was there, and after some tergiversations agreed to the condemnation. A schism erupted between Rome and northern Italy, called the Istrian Schism, and lasted until Pope Sergius I in the 600s. On another side of the Chalcedonian debate were those Christians who rejected both the Miaphysite position and the Council, traditionally termed ‘Nestorian‘ in English. This group of Christians founded what is today known as The Church of the East. They flourished in the Persian Empire and beyond, possibly as far as Tibet in the 500s. 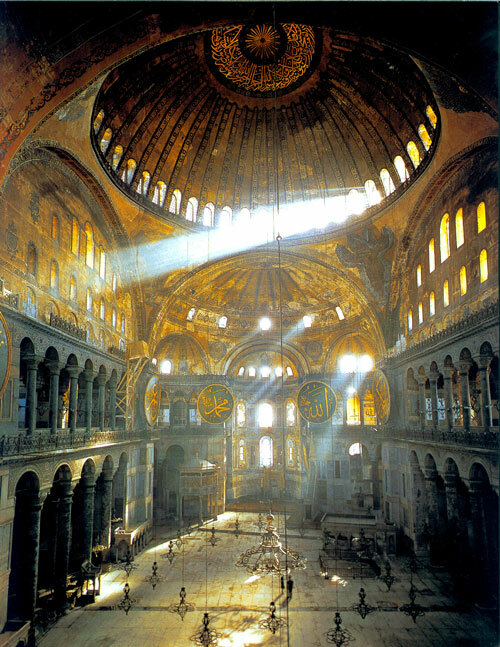 Chalcedonians did not flourish in the Persian Empire because their support of a form of Christianity aligned with the Roman Empire was perceived as dangerous; many of them were taking refuge in what is now Georgia; the Georgian Orthodox Church is still part of the Eastern Orthodox Church with its own pre-Russian tradition. 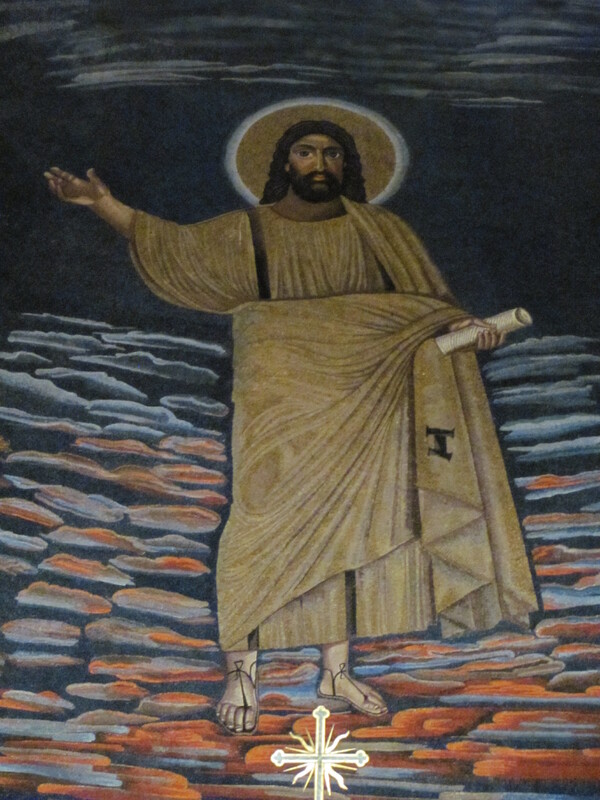 Amongst the monasteries of the Judaean desert there also arose the Second Origenist Controversy, surrounding some of Origen’s teachings in On First Principles but more importantly the teachings of the fourth-century mystic Evagrius of Pontus. This controversy resulted in a condemnation of Origenism in a series of anathemas often wrongly attributed to the Council of Constantinople of 553. In the Eastern Empire, the sixth century is also the century of spiritual leaders Barsanuphius and John (whom I love), their disciple Dorotheos of Gaza, and Simeon Stylites the Younger. St Sabas/Savvas of Judaea died this century. 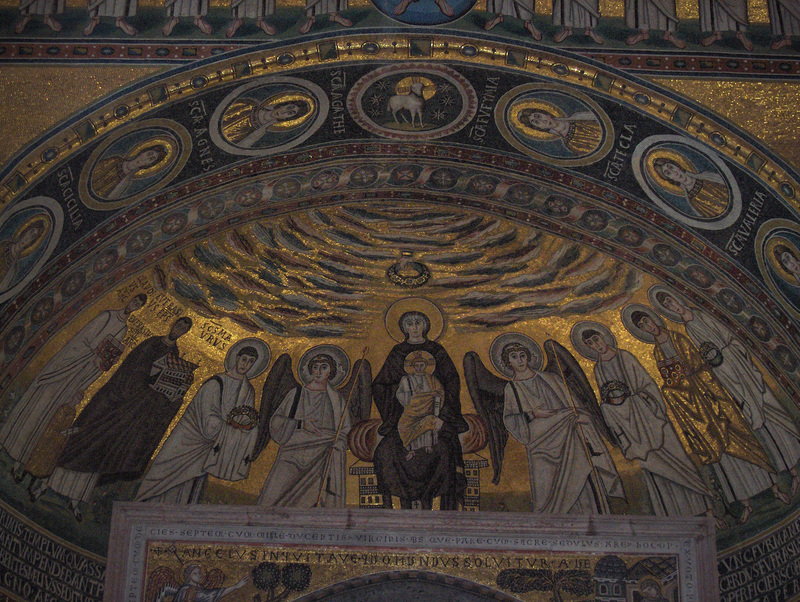 Romanos the Melodist, early Byzantine liturgical poet par excellence, lived in the 500s as well. We cannot forget Cosmas Indicopleustes, an Alexandrian Nestorian who wrote an amazing description of the world and his travels in Arabia and India; of greater philosophical precision is the Miaphysite Alexandrian philosopher John Philoponus. Besides getting thoroughly embroiled in the argument over the reception of Chalcedon, the West saw what may be termed the ‘Arian Controversy 2.0’. 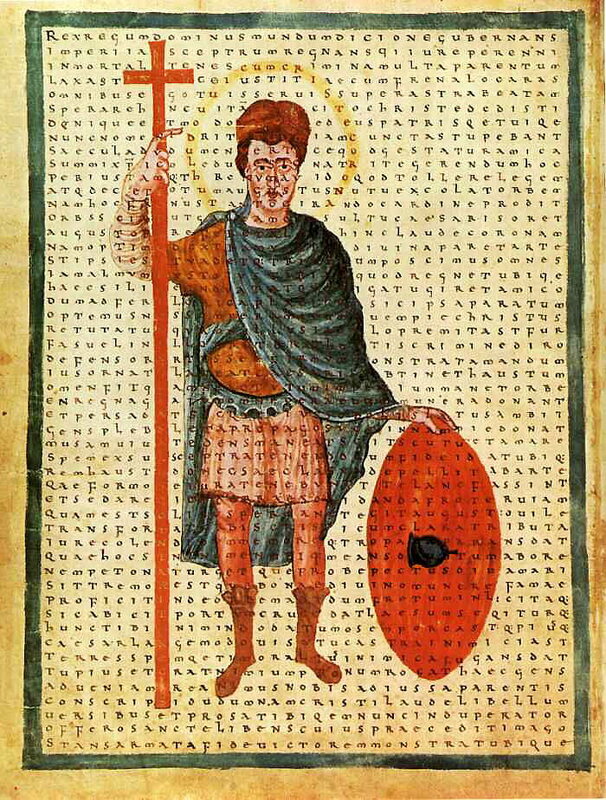 The newly emergent kingdoms of the West were largely ruled by ‘Arian’ or ‘Semi-Arian’ rulers (today’s usage would say ‘Homoian’), and they would debate with the Nicene-Catholic populations — Theoderic the Great in Italy, the Vandals of North Africa, and the Visigoths of Spain were Homoian/Arians. Theoderic treated the Nicene-Catholics of Italy well and with respect; the Vandals made their lives a living hell in Africa, as we read in Victor of Vita’s (d. 535) History of the Vandal Persecutions. 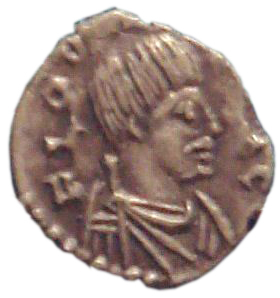 The Franks were Catholic, which sets them apart; their king Clovis I, on the eve of the century in 496, was baptised into the Catholic form of Christianity by Remigius, Bishop of Reims, under the influence of his wife Clotilda. However, as Gregory of Tours in the History of the Franks (c. 590) makes clear, the ‘Catholic’ Franks were generally as impious and unholy as the pagans and Arians; they, too, looted churches and such and lived riotously unvirtuous lives. It’s worth keeping in mind when we begin to imagine Late Antiquity and the Early Middle Ages as special eras of great religious fervour. In 586, Reccared, King of Spain converted to Catholicism. That’s a big deal. St Benedict (480-547) is kind of a big deal, too. His Rule, written for his small community of 12 monks at Monte Cassino, would become the standard of western monasticism in the centuries to come. He drew upon the preceding tradition, like John Cassian of the 400s and the early sixth-century Rule of the Master. The philosopher-poet Boethius (480-524), besides his translations of Aristotelian works and his famous Consolation of Philosophy, wrote theological treatises ‘On the Trinity,’ ‘Against Eutyches and Nestorius,’ ‘Whether Father, Son and Holy Spirit are Substantially Predicated of the Divinity,’ and ‘On the Catholic Faith,’ amongst others. So as not to be too much more long-winded, other important western religious figures of the century include: Caesarius of Arles, Ennodius of Pavia, Avitus of Vienne, Brigid of Kildare, Brendan the Navigator, Columba (missionary to Highland Scotland), Kentigern/Mungo (missionary to the Glasgow region), Columbanus (Irish monastic founder in France and Italy), and Pope Gregory the Great (pope, 590-604) who closes the century; I’ll save him for the 600s. None of this brings out questions of canon law and liturgy, of course, but there’s just no room!! This entry was posted in Ancient World, Art, Christianity, Classics, Discover Late Antiquity, History, Indignation, Mediaeval, Patristics and tagged justinian, late antiquity, miaphysites, queen's university belfast, second origenist controversy, sixth-century religion, who needs to study the 500s anyway on June 26, 2016 by MJH.